Not to be plagued with the melodrama inherit in such releases, Oceano’s ‘Depths’ is a real blood and guts effort, that’s as brutal and callous that needs be. Armed with an arsenal of technical, DM and doom extremities, ‘Depths’ is a record bubbling with ambition, even when it is overflowing on generic influence. Initially the record is a lot to take in, as its intensity is consistent right from the get-go. Mixed within the chaos, ‘Depths’ is a record with much of the aforementioned in it. You’ll readily discover a saturated atmosphere, elastic discords, and majestic song writing. 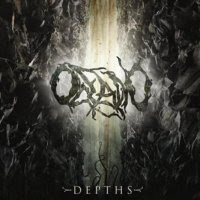 Oceano have taken influence from everything commendable within the genre(s) and moulded that into their own package. And whilst this certainly does deliver on all fronts, there’s nothing unique to discover on the record. Yet the album is a fresh debut, as the majority of the song writing is pieced together with a particular finesse, that echoes throughout the release. The same can’t be said mid way through, with the instrumental and self titled track “Depths” breaking up the assault. Whilst this track does work on a justifiable means, (to relieve the listener of a constant and consistent grind) the track itself is a diluted effort that is reminiscent of ‘Textures’ own shortcomings. Once bypassed and back into the thick of it, it is easy to overlook such a blip. The records final third is as intense and as good as its first, with ‘Depths’ maintaining pace and vigour until the faders draw close. Passionate performances are littered throughout this release, with each member performing with excellence under the new immense standards that modern DM merits. The low-belch growls and high pitched screams contrast radiantly with each other as they add a fitting dynamic to each track. However they’re so unnecessarily upfront that they take a lot of adjusting too. Aside from this very minor anomaly, the production present is slick and of outstanding quality, that will prove to be one of the better sounding records this year. Oceano’s ‘Depths’ isn’t a far cry from the norm, but does just enough to justify a certified freshness. This is a record that does capture everything stylistically correct, even when its generic faults come into play. Upon picking this one up, we can only recommend three to four back to back play-throughs, to fully absorb the albums wealth of content.